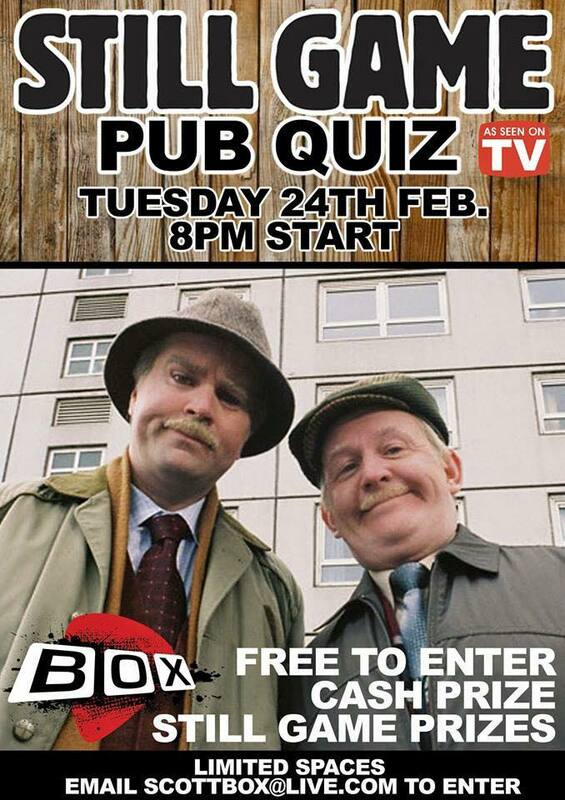 On February 24th, we have another Still Game quiz. Our quizmaster Scott is back to test your Still Game knowledge and the winning team will be rewarded with a £50 cash prize! There’s loads of other giveaways and good fun to be had, and its well worth checking out our Still Game cocktail list too! There’s limited spaces so email scottbox@live.com to book in a team!